Technologically advanced composite adjustable sills all-composite substrates, synthetic caps and nosing. Doors are double bore standard to add protection and security. Ball bearing hinges are more durable, better performing and less noisy. Pre-finished doors are paintable & protected by UV resistant topcoats. Glass lites are hand assembled by craftsmen to create a unique, quality work of art. 2.5" R-13 polyurethane foam core meets environmental guidelines and offers maximum thermal protection. Low-E thermally efficient glass upgrade and invisible metallic coating blocks heat flow and shields against damaging ultra-violet rays. Our security screen doors prevent intruders from reaching your main entry door with steel bars, in many styles and decoration, that fit within your existing door frame with a deadbolt style lock, tempered safety glass, non-removable 7" steel hinges and a fully-weather stripped frame for maximum protection from burglars, bugs and the cold weather! Galvanized Steel Prevents corrosion to ensure longer life. 22 Gauge Steelreduces denting and waves in the steel skin. Steel Edge Design Adds strength and Security to the door. Thermal Break-Steel Two piece design improves slab integrity and eliminates delaminating. Steel Reinforced Jamb Provides greater security. Revolutionary new design utilizing a Quad Glass System only available for certain fiberglass doors and sidelites with the most energy efficient glass package on the market. This high performance glass system provides an optimal energy efficiency rating for your fiberglass entry door available in a variety of stain and paint finishes. Weather-strip forms a weather-tight seal impervious to moisture. High-performance weather-strip and bottom sweep upgrades to further strengthen the weather barrier of your entry. All products are put through rigorous at our in-factory testing facility. R&D ensures that our products are of top quality. The entrance to your house is more than just a door, it is the focal point of your home. We take this to heart at the Integrity Window & Door Company and that is why you will find beauty, quality and energy-efficiency in the door system we will make especially for you. At Integrity Windows we offer doors from the highest quality major door manufacturers. 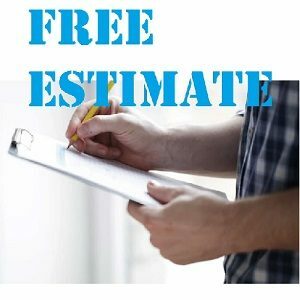 Each of them engineer and construct a variety of options for affordable doors to give you and your family a lifetime of trouble-free service. Our most popular entry door, patio door and replacement door products are manufactured by Polaris, ProVia and Pella while our security doors are manufactured in the Cleveland area by one of our long-time security and storm door partners. From latches and sidelites to handles and hinges our doors have limitless features - too many, in fact, we can't possibly cover them all and keep up with advances and improvements to door design, technology and features on the website. With such a wide range of door manufacturers, each with a variety of their own customized features, the door you choose will literally be tailored to your specifications and usually depends on factors ranging from energy efficiency, security, functionality, privacy and curb appeal. All our doors are professionally installed by the well-trained and experienced door installation team at Integrity Windows and Doors. So whether you need an entry door, a side door, a replacement door, a patio door or a storm door and prefer metal, fiberglass or wood - contact us for a free estimate and to learn more about our breadth of door options.